The US Fed struck a positive tone on the US economy on Thursday following their decision to keep interest rates unchanged. As a result, market participants are pricing in a high possibility of a rate hike at the next FOMC meeting which could be negative for stocks. Weaker Chinese PPI and car sales data also ignited fears that the Chinese economy would not be able to grow at the levels that were previously anticipated. This set-in motion weakness across emerging market currencies as the US dollar rallied against a basket of major currencies. The rand slumped to a session low of R14.34/$ mainly due to this US dollar strength, however at 17.00 CAT the rand had pulled back to R14.27/$. Blue chips on the JSE weighed on the All-Share index as they traded mostly weaker. Richemont [JSE:CFR] released a decent set of half-year results however the numbers fell short of analyst estimates. Subsequently, the stock fell 6.4% to close at R96.78. Discovery Limited [JSE:DSY] lost 3.6% to end the day at R163.95, while Naspers [JSE:NPN] pulled back by 1.83% to close at R2 744.92. MTN Group [JSE:MTN] announced that it was close to reaching a deal with Nigeria’s central bank with regards to the US$8 billion claim over funds repatriated from the country. The stock lost 2.16% to close at R85.00. Exxaro Resources [JSE:EXX] retreated to close at R148.52 after shedding 4.6%, and Sasol [JSE:SOL] dropped 2.84% to end the day at R472.96. Following Thursday’s slump Ascendis Health [JSE:ASC] recouped some of its losses as it gained 3.48% to close at R4.76. Retailer, Truworths [JSE:TRU] managed to post gains of 3.17% to end the day at R83.99, while listed property firm, Fortress B [JSE:FFB] added 3% to close at R15.81. Reinet [JSE:RNI] closed 1.96% firmer at R248.03, while Anglo American Platinum [JSE:AMS] rose to R515.94 after adding 1.65%. 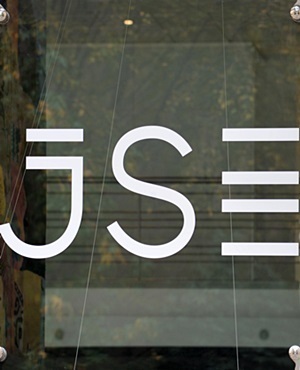 The JSE All-Share index eventually closed 1.42% weaker, while the JSE Top-40 index lost 1.56%. All the major indices closed in the red in today’s session. The Resources index lost 2.24%, Industrials lost 1.67% and Financials dropped 0.27%. Brent crude remained under significant pressure as it lost 1.61% to trade at $69.51/barrel just after the JSE close. At 17.00 CAT, Gold was down 1.1% to trade at $1210.54/Oz, Platinum had lost 0.81% to trade at $857.15, and Palladium was 1.31% weaker at $112.66/Oz. Bitcoin was down 2.08% at $6418.50/coin and Ethereum was 2.73% weaker at $211.14/coin.